FSV Mainz 05 vs Borussia Monchengladbach predictions for this weekend’s German Bundesliga. Gladbach look to shake a four-match winless run when they face Mainz at the Opel Arena on Saturday evening. Read on for our free betting tips and match preview. It’s been an up and down few weeks for Mainz. The 05ers finally got some points on the board in their last outing at the Opel Arena – a convincing 3-0 win at home to Schalke – but quickly slipped back to old ways in their trip to the German capital last weekend. 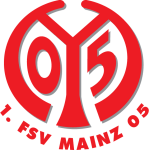 Although Sandro Schwarz’s men are 11 points clear of the relegation zone, they have trips to Bayern Munich and Borussia Dortmund still to play – not good news given that Mainz have lost all three of their meetings with top-half opposition in 2019 – so they must not become complacent in the closing stages if they want to avoid being dragged into a relegation dogfight. Borussia Monchengladbach were joint second in the Bundesliga just a few weeks back, but a run of four matches without a win (D1 L3) has all but extinguished their unlikely title hopes. Bayern inflicted the most demoralising defeat on Dieter Hecking’s men by knocking five past them on their own turf last weekend and another poor result on Saturday could see them relinquish their spot in the top four altogether. It’s no coincidence that this has all been linked with the drop in form of Thorgan Hazard – he is seven Bundesliga matches without a goal for the first time this season – and so Brazilian forward Raffael could be re-introduced after a spell sidelined. Given the up and down form of both sides, it’s hard to really like the price on either to get a result here. Borussia Monchengladbach are favourites despite winning just two of their last six away days (W2 D2 L2), however, there is one further stat that sticks out for betting on this game: only four sides in the German top flight have seen more goals per game than Mainz (26 – an average of almost FOUR per game) so far in 2019. Going off this, ‘over 2.5 goals’ should be a market worth looking into. Such a bet has landed in 67% of Mainz’s home and 50% of Gladbach’s away matches too. Mainz are a relatively strong home side – they’ve only been beaten three times on their own turf this season (W5 D4 L3) – but one must note that all those defeats came against sides within the top six (Bayern Munich, Dortmund and Leverkusen). Gladbach fall into that category and also have a very good recent record against Mainz – Die Fohlen are unbeaten in five against them (W3 D2) – which does lean us towards a bet on them for a result here. Mainz have conceded at least two in each of their last four home meetings against a top-six side too so we’re following that trend for a correct score bet. Our prediction: 2-1 Gladbach. 1. FSV Mainz 05 suffered their heaviest defeat to Gladbach in this season’s reverse fixture (4-0), in what was their 25th Bundesliga meeting. Borussia Mönchengladbach are unbeaten in five meetings with Mainz (W3 D2). Their last loss to the Zerofivers was on 29th January 2016 (1-0 away defeat). Mainz 05 failed to score in both of their meetings with Gladbach in 2018 and have only netted three goals in total across their last six matches against Borussia (never more than 1 per game). 1. FSV Mainz 05 have lost four of their last five Bundesliga games (1 win). Only Schalke (1) have collected fewer points than Mainz during that time (3). Mainz have conceded a league-high eight goals from set pieces in 2019. In fact, each of the last four goals that the Zerofivers have let in have come from dead ball situations. Mainz 05 have scored just 27 goals across the opening 24 matchdays – the only time in their Bundesliga history that they have netted fewer at this stage was in their 2006-07 relegation campaign (22). Borussia Mönchengladbach suffered their heaviest BL defeat of the season last time out against Bayern (5-1) and have dropped out of the top three for the first time since the end of matchday 6. Gladbach are now winless in four Bundesliga games (D1 L3) – it’s the longest Dieter Hecking’s side have gone without a victory this season. Gladbach have conceded as many goals in their last four Bundesliga matches as they did in their previous 16 games combined (12). Only Augsburg have shipped more goals across the last four matchdays (13). Borussia Mönchengladbach are still unbeaten away from home in 2019 (W2 D1) – only Leipzig, Frankfurt and Bremen are also yet to lose on the road this year.